Administrative Law Judge June R. Lehrman, Office of Administrative Hearings (OAH), State of California, heard this matter in Van Nuys, California, on August 28, 2012. Student’s mother (Mother) represented Student. Student attended the hearing. 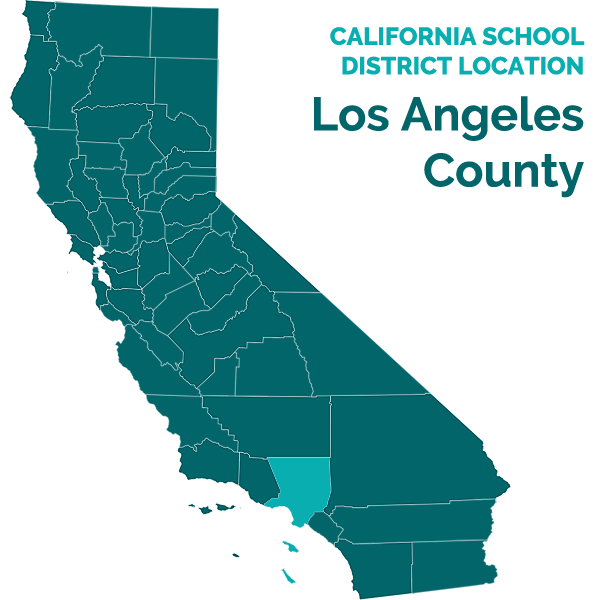 Los Angeles Unified School District (District) was represented by Julie Hall, Director of Litigation Research. Patrick Balucan, Attorney at Law, and Michael Massa, Compliance Support & Monitoring, also attended the hearing as District representatives. Mother, on behalf of Student, filed the Due Process Hearing Request (complaint) on May 31, 2012. On July 18, 2012, OAH granted a continuance on District’s motion, for good cause shown. At the conclusion of the hearing, the parties were granted a continuance to file written closing arguments by September 10, 2012. Upon receipt of the written closing arguments, the record was closed and the matter was submitted. Did District deny Student a free appropriate public education (FAPE) in the individualized educational program (IEP) dated April 10, 2012, by failing to properly document the following specific accommodations and modifications: adult assistance throughout the entire school day; hand over hand assistance; verbal and physical cues; sign language, gestures and picture schedule; behavior accommodations; self-help and hygiene assistance; redirection and prompting; and assistance with swallowing? 1. Student is a 14 year-old boy, eligible for special education and related services under the eligibility category for autistic-like behavior. He has been severely developmentally delayed from at least the age of two. He is ambulatory. He has no speech but some ability to sign. He is partially toilet-trained at home but is in diapers at school. He is severely intellectually disabled. 2. Student mouths and attempts to swallow objects and substances (puppets, small building blocks, other toys, glue, buttons, earrings, etc.) without awareness as to whether the objects are edible or harmful. When left unattended, Student engages in self-stimulatory behavior, including biting his hands. He requires constant prompting and verbal redirection, or hand-over-hand guidance, to attend to any task or maintain any focus. 3. Mother wrote letters to each of Student’s teachers regarding his needs, every year prior to their working with him, for his entire academic life. District has been aware of Mother’s concerns for Student’s safety, since he became of school age. 4. During the 2008-2009 and 2009-2010 school years, Student attended a class taught by special education teacher Mariana Valencia. Mother was satisfied with Ms. Valencia’s teaching, as Mother felt Ms. Valencia guided and attended to Student throughout the school day. 5. On May 27, 2010, Student’s IEP team met to discuss his program for summer 2010 and the 2010-2011 academic year. The May 27, 2010, IEP was drafted by Ms. Valencia. 8. The IEP offered a program for extended school year (ESY) 2010 and for the upcoming 2010-2011 school year at Perez Special Education Center (Perez), a campus designed for students with moderate to severe disabilities. Specifically, the IEP offered a special day class with an alternate curriculum, in a program designated for autistic students, to address Student’s goals in the areas of math, communication, object control, English language arts, and behavioral support. 9. The page of the May 27, 2010, IEP that made this offer of placement, also contained a statement of “instructional accommodations” and “other supports.” The “instructional accommodations” consisted of verbal and physical cues and prompts, redirection, modeling, extended time. The “other supports” entry provided for adult assistance at all times, for supervision. 10. Mother was satisfied with the language of this IEP and with the program it offered. Mother consented to the IEP. 11. Student’s IEP team met for his next annual IEP on May 27, 2011. 12. The May 27, 2011, IEP stated PLOPs in areas of need in health, object control, social/emotional/behavior, adaptive/daily living skills, communication development, mathematics, and reading. 13. The PLOPs for social emotional/behavioral, adaptive/daily living, communication development, and mathematics, contained language similar to the previous year’s PLOPs, regarding Student’s constant need for hand over hand help to achieve any task, and the recommendation for Student to continue having extra classroom support. 14. In addition, the adaptive/daily living skills PLOP also stated that Student had difficulty performing self-help activities including feeding himself, toileting, dressing, distinguishing between a safe and a dangerous action, washing his hands and controlling his saliva, and therefore required adult assistance at all times. It repeated the previous year’s language that Student needed help for toileting, selfhygiene in all areas, eating, holding a spoon, dressing, walking towards a specific place, distinguishing between a safe and dangerous action such as walking away without direction. This PLOP also added that Student needed close attention during feeding times, as he did not have the ability to spit out on command, needed to be fed with a regular metal spoon and fork and not plastic, and tended to bite play materials. 15. The May 2011 IEP offered a program for ESY 2011 and for the upcoming 2011-2012 school year at Perez, in a special day class, teaching an alternate curriculum, in the autism-designated program. 16. The page of the May 2011, IEP that made this offer of placement contained no specific statement of “instructional accommodations” and “other supports,” however the parties understood the IEP to continue the previous year’s IEP’s provision of adult assistance at all times, for supervision. 17. Mother was satisfied with the language of the IEP and with the program it offered. Mother consented to the IEP. 18. On or around September 7, 2011, Mother wrote Student’s new teacher for the upcoming 2011-2012 school year, Fidelia Udoh, prior to her working with Student, documenting Mother’s concerns about Student’s safety and personal care, especially with regard to mouthing and swallowing inedibles, and his toileting needs. 19. Ms. Udoh is a special education teacher credentialed to work with moderate to severely disabled students. She has worked for District for the past seven years, teaching a functional skills curriculum including functional communication, math, social skills, and vocational and self-care skills to students with autism, intellectual disability and physical disabilities. Prior to her tenure with District, she worked for four years as a teacher of programs provided by the Los Angeles County Office of Education. 20. Since September 2011, Student has attended Ms. Udoh’s class designated as the autism program, at Perez. The class contained seven-to-eight students and was supervised by three adults including the teacher and two special education assistants, Dave Fausto and Luis Ariaga. The two assistants were each assigned to certain students. Mr. Ariaga was assigned to Student. Mr. Ariaga’s duties were to meet his assigned students at the bus or car when they were dropped off at school, help them to the bathroom where, if necessary, he would help students with clothing and toileting, dressing after toileting, and washing, using prompting or hand over hand assistance, as required by each individual student’s IEP. After toileting, the class received physical education, assistance with eating, and then academic instruction. 21. Ms. Udoh’s class worked every day on every student’s individual IEP goals. The curriculum was a modified alternate curriculum teaching functional skills. The class was highly structured, using visual schedules for daily activities. Ms. Udoh or the aides provided either verbal prompting, redirection, or hand over hand assistance as needed and provided for by each student’s IEP. They also attended to the students’ physical needs including dressing and toileting. They also attended to students’ safety when eating. 22. With regard to the accommodations and instructional strategies employed in her classroom with Student, Ms. Udoh and the aides used pictures to represent morning routines, the day’s schedule, and name identification. In addition, Student used a picture exchange system to point to preferred objects when given a choice between two photographs, and Ms. Udoh attempted to teach Student to indicate the need to go to the bathroom by pointing to a picture. Student also used a voice output device with which he pushed a button that responded to greetings such as “good morning.” Also, Ms. Udoh and his aide provided Student hand over hand assistance when tracing and coloring, and to help him close his mouth. In addition, Student was escorted to the bathroom every two hours either by Mr. Ariaga or by Ms. Udoh. When travelling to the bathroom, Ms. Udoh or Mr. Ariaga held Student’s hand for safety, and guided Student by hand when transitioning from one activity into another. Student required, and was given, physical assistance to pull down and pull up his pants for toileting. However, he did understand some verbal prompts, especially for preferred activities. Ms. Udoh attempted to engage Student’s gaze to draw his attention, prior to giving him verbal prompting. Student liked to hold books, so Ms. Udoh and the aides gave him books to hold, in order to facilitate his transitioning from one activity to another. Student was also provided extra time for transitioning and for the completion of tasks. Ms. Udoh considered all of the above to be teaching strategies or accommodations; even if not specifically listed in an IEP, they were subsumed within the terminology of “instructional support.” Ms. Udoh testified credibly that she and Mother were in accord regarding Student’s educational program, and were in frequent contact. 23. Student’s IEP team met for Student’s next annual IEP on March 6, 2012. The team reviewed a draft IEP for which Ms. Udoh had prepared draft PLOPs and goals. Mother requested modification to the wording of the IEP, specifically in the areas of adult assistance, PLOPs, and goals for personal maintenance. 24. Principal Michael Terry met twice with Mother to prepare for an amendment IEP to address the requested modifications to the wording of the IEP. Prior to the amendment meeting, Ms. Udoh modified the initial March 6, 2012, draft of the IEP, with the intention of conforming it to Mother’s requests. 25. The team met again on April 10, 2012. The revised IEP stated PLOPs in areas of need in functional math, functional communication, functional reading, self help, behavior, writing, and health. 26. The Functional Math PLOP stated, in pertinent part, that Student tried to wander around the room during instruction/class activities; he tried to grab food several times without waiting for the meal to be set; and he would leave his seat and scatter the shelves of classmates looking for a book. The Functional Communication PLOP stated that Student did not show any interest in learning to identify or communicate his needs or wants other than books, games and snacks. He was not able to communicate his need to go to the bathroom; therefore, he was assisted to follow the normal class bathroom visitation schedule. Student nonetheless ended up having toileting accidents once or twice per week. 27. The Functional Reading PLOP stated that Student needed practice to follow directions geared toward becoming more independent, such as putting away his backpack, going to his desk, sitting on the toilet, flushing the toilet and washing his hands. He required assistance to perform all such daily activities including prompting to remove clothing, “continuous supervision for safety and physical prompts to increase focus on tasks.” The Self Help PLOP stated that Student had learned to pull up the front of his pants during bathroom visits with prompting, after which he would look for assistance to pull up the back portion. He seemed to lack interest in pulling up his pants from the back, or he lacked the skills to hold firmly and pull completely. The PLOP stated that it would be helpful for Student to be able to identify the required items of clothing by showing and naming them during bathroom time. The PLOP also stated that a daily toilet chart was being kept for him, and it was sent home to report on his progress to Mother. 28. The Behavior PLOP stated that he had made progress and decreased his incidence of crying; however five-to-10 times per day he put his fingers in his mouth on the roof of the mouth or upper teeth as if pulling out his teeth. He also made loud noises and splashed saliva over himself when not allowed to hold a book. As a result, he would be consistently redirected using words that are used to redirect him at home such as “stop,” “wait,” and “no.” The Health PLOP stated that Student required an accommodation of adequate time to complete tasks, and availability of assistance for activities of daily living. 30. The IEP stated goals in areas of need in functional reading, functional math, functional communication, self-help skills, behavior, and personal maintenance. 31. The Functional Reading goal stated that Student would follow verbal and picture directions to perform daily living activities including going to the bathroom, sitting on the toilet, and flushing and washing hands. The Functional Math goal stated that Student would wait for his turn during all class activities. The Functional Communication goal stated that Student would communicate his need to go to the bathroom using pictures, vocalization or gestures. The Self-Help goal addressed Student learning to pull up his own pants after toileting, with verbal prompts, as Student’s PLOP indicated he still needed physical assistance to do. The Personal Maintenance goal concerned swallowing and closing the mouth afterward, with physical prompting by staff touching his jaw and directing it to the proper position. Ms. Udoh explained that this goal was added to the IEP to address Mother’s request. To implement it, staff would be required to gently touch the bottom of Student’s open jaw and push it upward to model closing the mouth. 32. This IEP offered the same placement as had the prior year’s IEP’s, in a special day class at Perez, teaching an alternate curriculum, in an autism-designated program. The offer start date was May 23, 2012. 33. The page of the IEP stating the offer of placement included specific accommodations and modifications, such as use of pictures, a voice output device, a visual schedule, and computer and music time as reinforcers. Other supports were also specified, such as Student receiving adult assistance at all times for supervision, safety and instructional support, throughout the school day. 35. The IEP contained a Behavior Support Plan (BSP) that identified Student’s disruptive unpredictable behavior as the target behavior, identified transitions as the time most likely for the behavior to occur, provided for allowing completion of tasks in parts and cueing of Student for transitions, and set out reinforcement procedures (high fives, preferred computer game activities, positive feedback to Mother) and reactive strategies (redirection, change in seating arrangements) to address the behavior. 36. Mother declined to consent to the IEP, objecting that its language did not specifically enough describe Student’s unique needs. 37. On or around May 17, 2012, Mother met with Principal Terry to share with him her concerns regarding the language of the IEP. Mother at that time requested that an additional five pages, written in her handwriting, be transcribed and included in the IEP. Two of these pages consisted of the letter she had written to Ms. Udoh on September 7, 2011. The remaining three pages consisted of Mother’s observations about the communicative intent of certain of Student’s behaviors. Mother, in these pages, also reiterated her concern that Student should receive additional adult assistance throughout the entire school day, to direct him, keep his attention focused, help him to follow routine, help with Student’s self-help and hygiene needs, and assist with swallowing. Mr. Terry agreed to attach the five handwritten pages as an attachment to the IEP. 38. Mother witnessed Ms. Udoh’s classroom only once for 20-40 minutes, and was therefore not aware of the level of attention Student actually received there, except she was aware that Student had a picture schedule for that class, and she witnessed him receiving verbal and physical cues during her observation. Mother was not aware whether Student received hand over hand prompting or assistance in Ms. Udoh’s classroom, sign language gesturing, or behavior accommodations. Mother was aware that Student received assistance with toileting while at school, that he was improving consistently in his toileting skills at home, and Mother believed he was doing very well with toileting self-care skills at school as well. However, Mother believed that assistance with hand washing skills had only begun at school within the last month since the filing of the complaint in this matter. Although Ms. Udoh informed Mother that Student was never left by himself, Mother was concerned that Student had been rushed through tasks in Ms. Udoh’s classroom. In addition to her single classroom observation, Mother also picked up and dropped off Student at school almost daily, and was aware that the routine at the beginning of the day was that one of the classroom aides escorted four-to-five children to the toilet. She was not aware of how thorough the aides were in their routine, but was concerned that Student required more time. 1. Mother, on behalf of Student, contends that District committed a procedural violation that resulted in a denial of FAPE in Student’s IEP dated April 10, 2012, by failing to properly document the following specific accommodations and modifications: adult assistance throughout the entire school day; hand over hand assistance; verbal and physical cues; sign language; gestures and picture schedule; behavior accommodations; self-help and hygiene assistance; redirection and prompting; and assistance with swallowing. Mother specifically contends that the PLOPs lacked sufficient language regarding the above accommodations and modifications. 2. District disagrees and contends that Student has not established any procedural flaws in the IEP, nor has Student established how any alleged flaws impeded Student’s right to a FAPE, impeded Mother’s opportunity to participate in the decision-making process regarding the provision of a FAPE, or caused a deprivation of educational benefits. District argues that these specific accommodations and modifications were indeed stated throughout the IEP, both in the PLOPs and elsewhere, and were added at Mother’s specific request. District furthermore contends that the IEP, when read as a whole document, including Mother’s handwritten letters that were attached to the IEP, amply documented Student’s needs, and included a program appropriate to address them. Moreover, District contends that the educational program actually being provided to Student has provided him with FAPE. 3. The petitioning party has the burden of persuasion. (Schaffer v. Weast (2005) 546 U.S. 49, 56-62 [126 S.Ct. 528, 163 L.Ed.2d 387].) Therefore, Student has the burden of persuasion on all issues. 1 All citations to the Code of Federal Regulations are to the 2006 edition. 9. Student has failed to establish any procedural flaws in the wording of the April 10, 2012, IEP, with regard to adult assistance throughout the entire school day; hand over hand assistance; verbal and physical cues; sign language, gestures and picture schedule; behavior accommodations; self-help and hygiene assistance; redirection and prompting; and assistance with swallowing. The IEP contained all legally required content: Student’s PLOPs, goals, the special education and related services that were to be provided, the start date for services and modifications (May 23, 2012); and, the anticipated frequency, location and duration of services and modifications (throughout the school day). This is the only information that is legally required to be included in the IEP, and the required information need only be set forth once. 10. The IEP properly documented the offer of adult assistance throughout the entire school day. That offer appeared in the portion of the IEP stating that “other supports” included adult assistance at all times for supervision, safety and instructional support, throughout the school day. The offer was supported by the notes, which stated the IEP team’s agreement that Student required additional adult assistance to provide supervision due to safety issues throughout each school day. 11. The IEP properly documented the offer of a picture schedule in the “accommodations and modifications,” which specified the use of pictures and a visual schedule as reinforcers, as well as in the functional communication goal. 12. The IEP properly documented the use of hand over hand assistance, verbal and physical cues, sign language, gestures, and redirection and prompting in the Notes specifying that the adult assistants were to “support [Student] with frequent reinforcement including verbal prompts, physical prompts, cues and gestures.” The use of hand over hand assistance was also included in Student’s Functional Reading Goal, the BSP, and embedded in Ms. Udoh’s teaching strategies. 13. The offer of behavior accommodations appeared in the BSP and the Behavior Goal. Self-help and hygiene assistance was specified in the self help PLOP and goal. Assistance with swallowing was specified in the Personal Maintenance goal concerning swallowing and closing the mouth afterward, with physical prompting by staff, that was added to the IEP at Mother’s request. 14. The identification and documentation of Student’s needs appeared not once, but numerous times throughout the IEP. Specifically, these needs were addressed in the PLOPs, the goals, Notes and in Mother’s attachments. Given the IEP’s clear inclusion of adult assistance throughout the entire school day; hand over hand assistance; verbal and physical cues; sign language; gestures and picture schedule; behavior accommodations; self-help and hygiene assistance; redirection and prompting; and assistance with swallowing, Student failed to establish that District committed any procedural violation. 15. Even if Student had established that District had committed a procedural violation, Student failed to establish that the purported violation resulted in a denial of FAPE. The evidence showed that District did not impede Mother’s opportunity to participate in the decision-making process, given the two meetings between Mother and Principal Terry to prepare for the April 10 amendment IEP, Ms. Udoh’s modification of the initial draft of the IEP to conform it to Mother’s requested modifications, Principal Terry’s additional meeting with Mother on May 17, 2012, and the addition of Mother’s attachments to the final version of the IEP. 16. Student also failed to establish that any purported procedural violation impeded Student’s right to FAPE or resulted in a deprivation of educational benefit. The evidence showed that the program Student attended since September 2011, including the period following the April 10, 2012 IEP, in Ms. Udoh’s class at Perez, provided Student with educational benefit. The seven-to-three student-to-adult ratio appropriately provided for Student to be met at the bus or car, escorted to the bathroom, given help with toileting, assistance with eating, given academic instruction, and never be left to himself. Student was appropriately assisted with toileting, dressing after toileting, and washing, using prompting or hand over hand assistance. Student’s IEP goals were worked on daily, using visual schedules, verbal prompting, redirection, and hand over hand assistance as provided for by Student’s IEP. 17. As credibly testified to by Ms. Udoh, she and Mother were in frequent contact and Mother was in accord with Student’s educational program. As testified to by Mother, Student had a picture schedule, improved consistently in his toileting skills at home, and reportedly did very well with toileting self-care skills at school. Mother was not actually aware of any deficits in Student’s program. Rather, Mother’s concern appeared to be that the IEP did not adequately prevent the possibility of future harm, by not adequately alerting school staff to Student’s many needs. However, this understandable concern for prevention failed to support Mother’s claim here, given the extensive and repeated language regarding Student’s needs with regards to his safety stated in the PLOPs, goals, notes, offer and Mother’s attachments to the IEP.